Dark red: Internationally recognized territory of Morocco. Lighter striped red: Western Sahara, a non-decolonized territory claimed by Morocco as its Southern Provinces. French is also used in official government documents and by the business community, although it has no official status. 13.5% fluent, 19.5% partially fluent. Primarily Riffian, Shilha and Central Tamazight. The area 446,550 km2 (172,410 sq mi) excludes all disputed territories, while 710,850 km2 (274,460 sq mi) includes the Moroccan-administered parts of Western Sahara (claimed as the Sahrawi Republic by the Polisario Front). 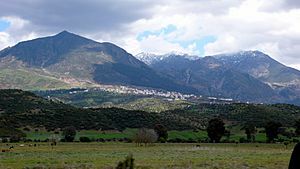 Kingdom of Morocco (Berber: Tagldit n Murakuc, Arabic: المملكة المغربية) is a country in North Africa. 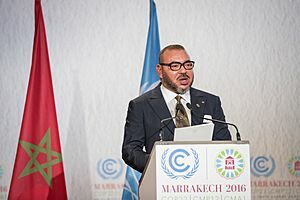 Morocco is a constitutional monarchy. 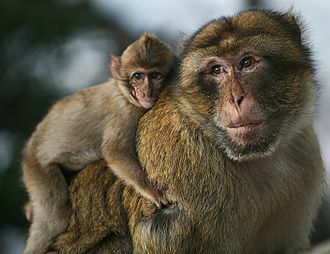 The political powers are shared between the king Muhammad VI (the sixth) and the Head of the Government. The King is the head of state (Person in charge of the country) and the most important person. The people of Morocco vote for Members of Parliament to speak for them and to help make laws for them. The Council of Ministers defines what must be done. He makes all the important decisions. Today, the Head of Government is Saadeddine Othmani. 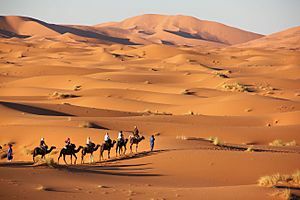 The population of Morocco is about 34 million. 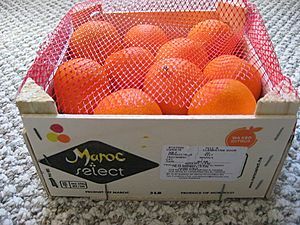 People from Morocco are called Moroccans. Moroccans are Arab, indigenous Berber, Sub-Saharan African and European. 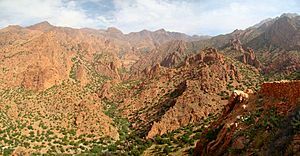 The official languages of Morocco are Arabic and Berber. French is also very used in companies, universities, and in some TV channels. 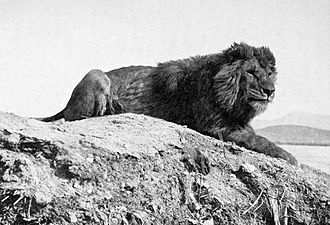 Morocco was part of the French colonial empire for 44 years. Some people in the north (close to Spain) speak Spanish as well. Spain also occupied parts of Morocco before leaving them in 1956 and in 1975. Most educated Moroccans do not speak English well, or do not know it at all. In the 21st century English is being taught to students in an increasing number of schools. 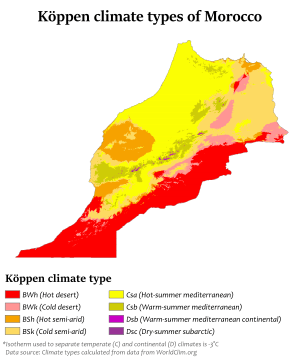 Morocco is divided into 12 regions,. The regions are divided into 62 prefectures and provinces. 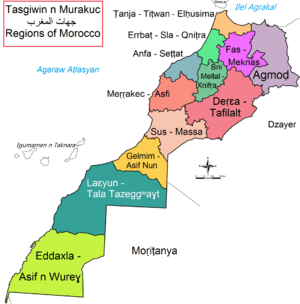 Morocco is divided into 37 provinces and 2 wilayas : Agadir, Al Hoceima, Azilal, Beni Mellal, Benslimane, Boulemane, Casablanca, Chefchaouen, El Jadida, El Kelaa of Sraghna, Errachidia, Essaouira, Fez, Figuig, Guelmim, Ifrane, Kenitra, Khemisset, Rommani, Khenifra, Khouribga, Laayoune, Larache, Marrakech, Meknes, Nador, Ouarzazate, Oujda, Rabat, Sale, Settat, Safi, Sidi Kacem, Tangier, Tan-Tan, Taounate, Taroudant, Tata, Taza, Tetouan, Tiznit. Three additional provinces of Dakhla (Oued ed Dahab), Boujdour, and Es-Smara as well as parts of Tan-Tan and Laayoune fall within Moroccan-claimed Western Sahara. 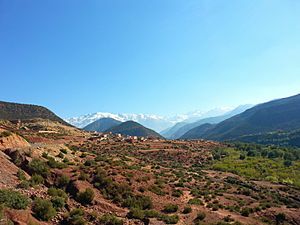 Mining, agriculture, fishing, and tourism are the 4 main parts of Morocco's national economy. Also, Moroccans working in Europe (about 2 million) send billions of Euros of money home to their families every year. Tourism is becoming very important too. 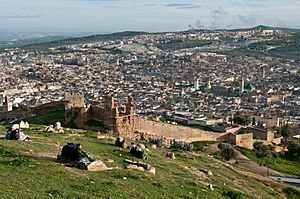 Many Americans and Europens come to see the historical places of Morocco, live the Berber countryside life, or enjoy the warm sun and the long and clean beaches. 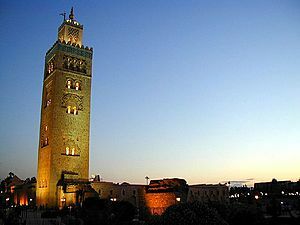 Marrakesh is the most liked city by tourists. The currency of Morocco is called the Dirham, its code is MAD. 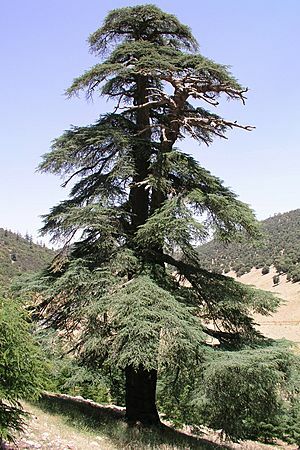 Tourism is one of the most important sectors in Moroccan economy. It is well developed with a strong tourist industry focused on the country's coast, culture, and history. Morocco attracted more than 10 million tourists in 2013. 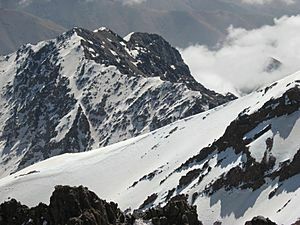 Tourism is the second largest foreign exchange earner in Morocco after the phosphate industry. The Moroccan government is heavily investing in tourism development, in 2010 the government launched its Vision 2020 which plans to make Morocco one of the top 20 tourist destinations in the world and to double the annual number of international arrivals to 20 million by 2020, with the hope that tourism will then have risen to 20% of GDP. Inside of a mosque in Fes. Morocco Facts for Kids. Kiddle Encyclopedia.